The Boston Police Department has a union. This union has a newsletter. This newsletter is uproariously terrible, full of diatribes against liberals and multiculturalism that would feel right at home in an AM radio show in 1993. Interestingly enough, it also includes advertisements from those corporations seeking to curry favor with their enforcers, which also functions as a useful list of corporations whose office windows a liberal multiculturalist might — wink-wink — want to a throw a brick through. If you hate yourself and want to extend that hate to the world around you, check out the rest of the issue (the final stab to the gut: it’s a PDF). 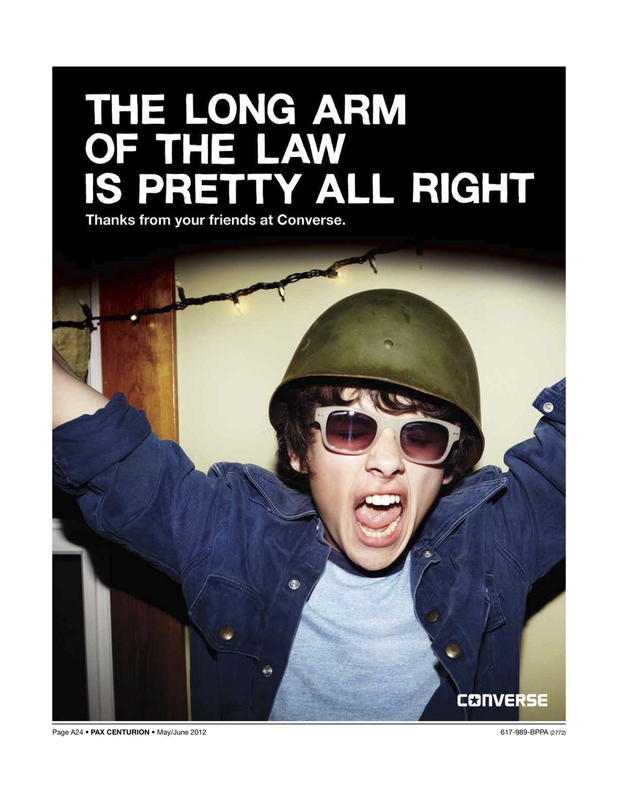 This entry was posted in ill-considered advertising, Police State. Bookmark the permalink. What an awful reading of this union newsletter! Are you seriously a journalist, because you are so lazy! I took the time to read through the whole newsletter. Most of it was police history, people telling jokes and sharing random thoughts, or complaining within their own community. It is ok to be sad veterans don't get enough respect, which is what a few articles were about. It is also ok to admit you enjoy having an iPhone. Most of the ads were about how such-and-such corporation supports police childrens scholarship funds, which I also think is fine. Yes, James Carnell, the editor of the newsletter, comes off as bigoted, misogynistic, and sort of mean, much like Limbaugh or the other jerks. His response to the occupier is Too Good To Be Satire. But the corporations that advertise in this newsletter deserve no special violence, as you suggest (wink,wink) they do. It's possible a lot of cops think Carnell is a fool, but don't have the time or political power to edit the newsletter. I don't understand how you get by as a journalist. Ok. I still defend the integrity of this newsletter, which I think is pretty harmless but obviously run by a hack. From the Jezebel source I looked for articles not written by Carnell (who we agree on). The other quotes came from what I referred to as the "jokes" section. Are they offensive? Yes. But that article starts with "For the record: All chaps are “assless.”" The suicide mission jokes are also in poor taste. On the flip side, isn't that entire series of jokes a rendering of anti-imperialist critiques of the war on terror? If Zizek and Baudrillard had the income, family life, and social milieu of Boston cops, they may have put it the same way.As for my naivety, I day-dream about black blocs, so I don't think you need to worry about me. I think police-newsletter and police-state are two different things, and someone who is paid to sift the world of information to share relevant bits with a national audience should do better than "the boston police newsletter is run by a jerk and also tell your friends converse isn't cool anymore stop buying their stuff". Also, I think it's relevant in that it gives a snapshot of the kind of mentality people in law enforcement seem to have.